This fabulous sculpture is by Patrick Mavros, the Zimbabwean jeweller & silversmith. 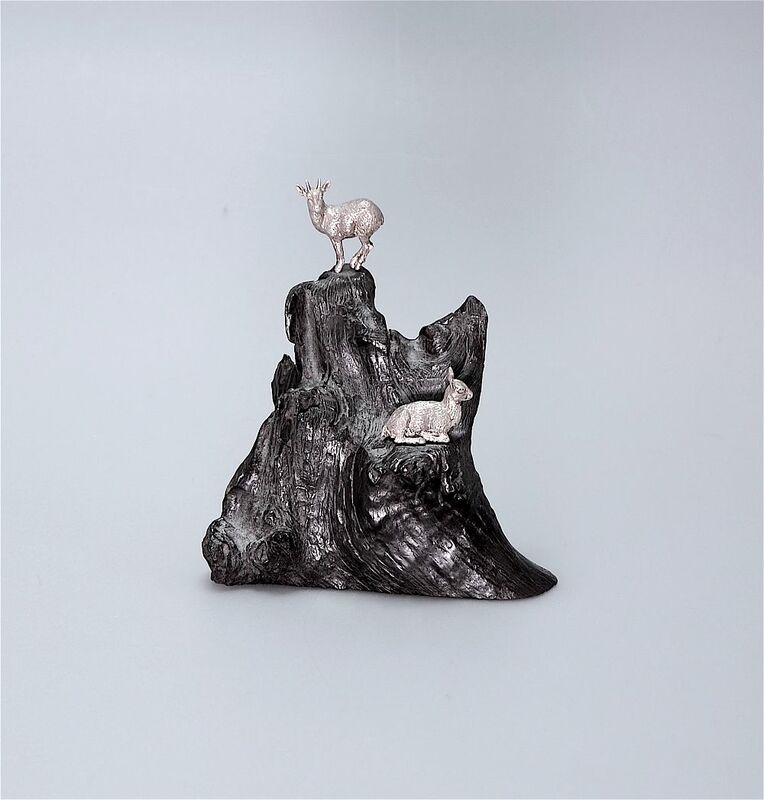 The plinth is made of an African hardwood, possibly ironwood, with two small silver buck positioned on the wood, the male standing on the top surveying the scenery and the female lying down on a lower ledge. On the breast of each buck are 2 cartouches one containing the initials "PM" for Patrick Mavros and the other having an indistinct mark. On the back of and inset into the wood is a small round silver disc engraved "PM" for Patrick Mavros.